The Tesla Model X P100DL is the quickest production SUV ever made. It just doesn’t look as fast or aggressive as a BMW X5M or Porsche Cayanne Turbo S, even though it can leave them in the dust. The Tesla Model X is an amazing feat of engineering. Packing seven passengers into a “normal car” just isn’t possible but the unique design and engineering of the Model X makes it happen, with style to spare. 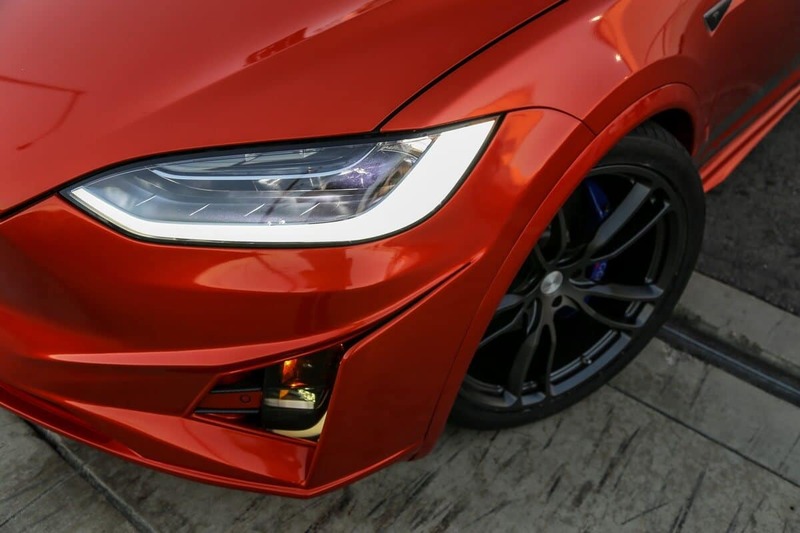 Many Tesla Model X owners will be satisfied with the “sleeper” appearance but at Unplugged we desire a more emotional and fierce presence for the road. We want your Model X to seduce you from the garage and beckon you at the Supercharger. Unplugged offers a complete exterior upgrade package that visually sharpens the rounded claws of factory Model X. 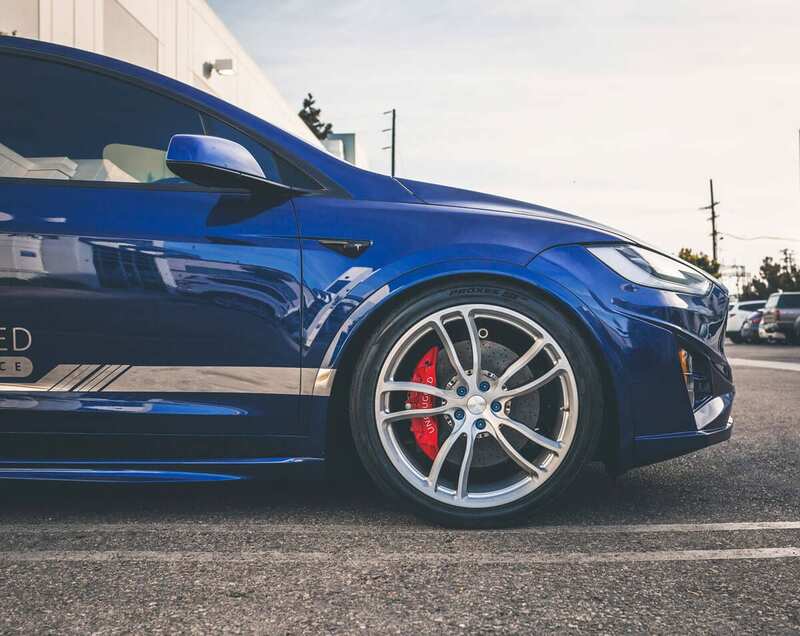 Our upgrades work in harmony with the original aerodynamic package to help you stand out at the Supercharger and elevate the exterior with the sporty character that the X’s performance demands. 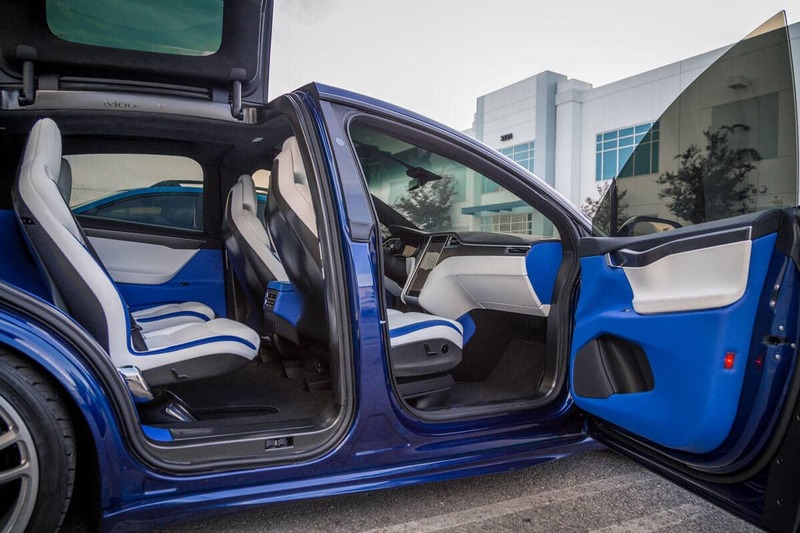 The falcon wing rear doors and self-opening front doors put the Model X’s futuristic interior on display at every stop. The available factory options are dramatic but leave a lot of room for improvement. The large swaths of plastic and monochrome interior choices fall short of meeting the desires of luxury car buyers who are used to getting exactly what they want. Unplugged believes that you don’t have to sacrifice your desires just because you want to own the best SUV on the road. 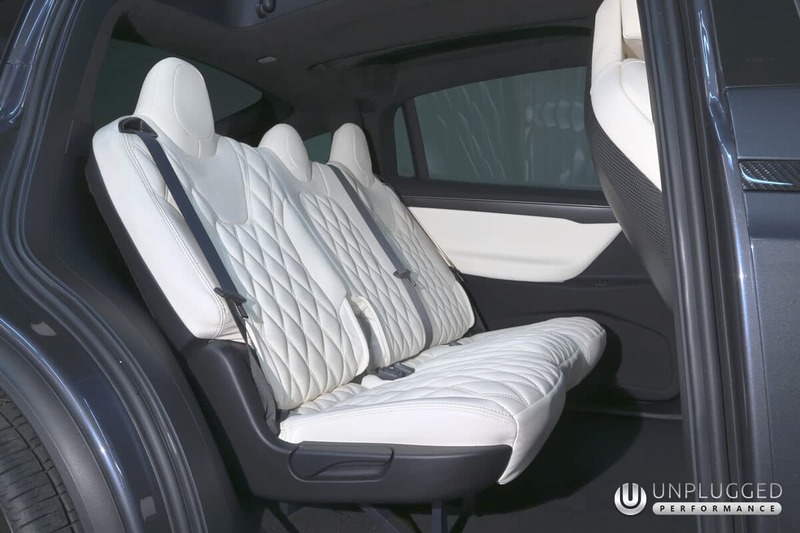 Unplugged offers a nearly unlimited array of bespoke interior upgrades including carbon fiber, luxurious leather and vegan leather upholstery, and tailored customization to the owner’s personal needs. The world’s quickest SUV demands performance options that just are not available from the factory. Unplugged has engineered unique high performance upgrades to enhance the sporty character of the vehicle without compromising efficiency or reliability. For the Model X owner that wants the best of the best, we’ve delivered what a mass-market vehicle cannot. Unplugged offers discerning Tesla buyers the ability to specify a higher performance and more luxurious Tesla Model X P100DL or any Tesla Model with additional performance, interior and exterior upgrades and bespoke personalization to suit the owner’s taste. Tesla’s limited palate of specifications are supplemented by a nearly endless suite of potential upgrades and enhancements that can be fitted to your Model S before or after you take delivery and delivered to you as a complete ready-to-drive vehicle anywhere in the world. Our personalization programs are perfect for the owner that demands the best for themselves and wants a complete suite of upgrades delivered in a guaranteed, well-engineered package that engages all of the senses and is backed by Unplugged’ s comprehensive warranty program, without affecting Tesla’s.